Make a statement or call attention to your business in a big way with professionally printed banners. All vinyl banners are printed on one side of a 13oz. Premium Scrim Glossy Vinyl, a 13oz. Premium Scrim Matte Vinyl, or a 9oz. Premium Mesh Vinyl. 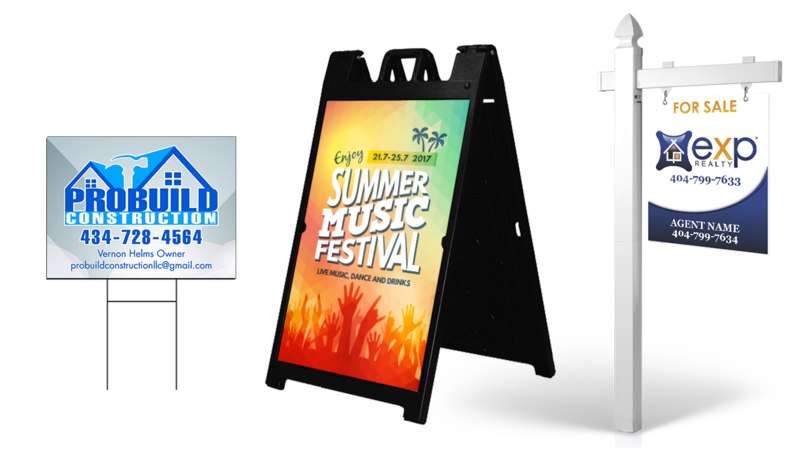 Convert someone passing by into a customer with an eye-catching A-frame, yard sign, or corrugated sign for your storefront & business! Printed with UV ink for longer durability - scratch, abrasion, and weather resistant. 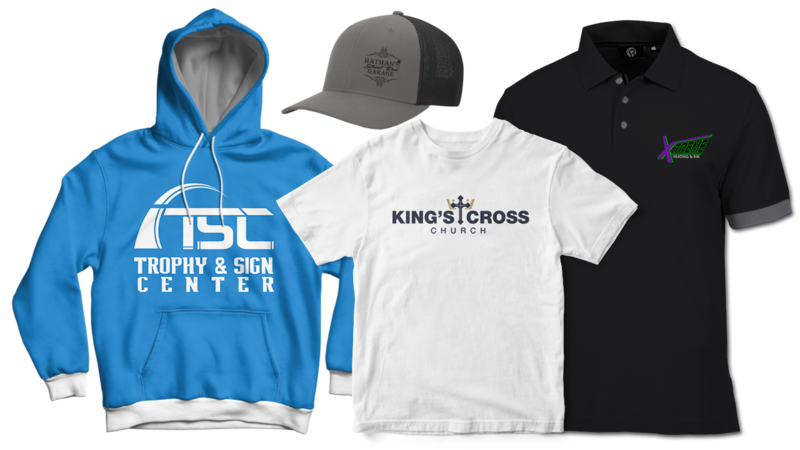 We help make sure all of your custom apparel needs are covered. Whether you need 20 or 500 custom t-shirts, for work or for play; we guarantee the highest QUALITY and SERVICE available, at a great price. Our experienced staff is friendly, professional and knowledgeable to ensure your vision becomes reality. 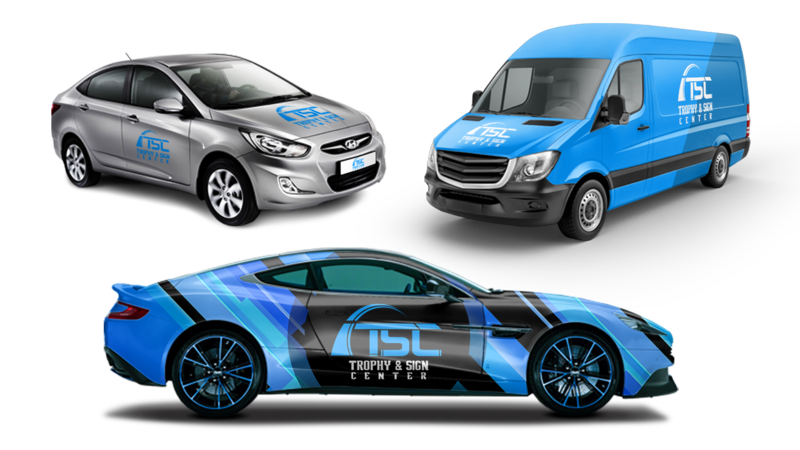 Vehicle wraps are a very powerful advertising tools. Statistically, vehicle wraps can garner between 30,000 to 70,000 views per day building brand awareness, sales growth, and brand equity. Our goal at Trophy & Sign Center is to build vehicle wraps that stand out and get your business NOTICED! 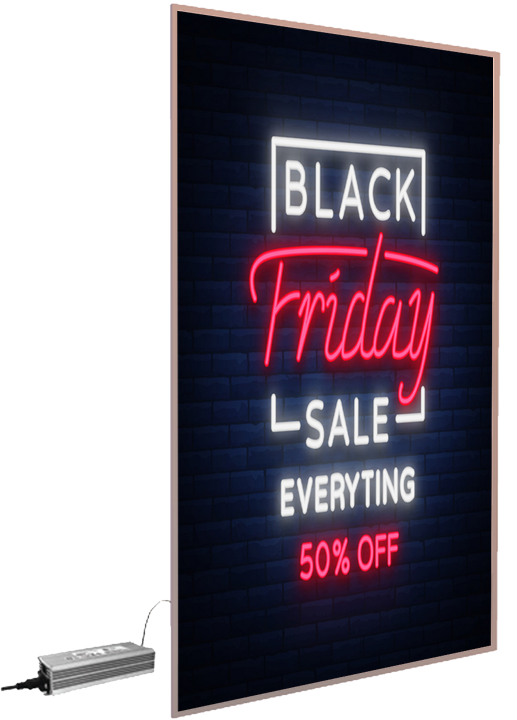 Illumaprint panels are a revolutionary, patented light panel on which you can print your graphics, and illuminate for eye-catching displays. Our frames are high-quality snap frames with a 1.25" profile, 100% aluminum, and delivered with a lens. Trophies are a time honored way of awarding achievement. Whether it’s a championship trophy in a school trophy case or a glass award in a corporate office, trophies are always proudly displayed. With experience in the trophy business, let our experts assist you in creating the perfect trophy for those special events at a price you can afford. 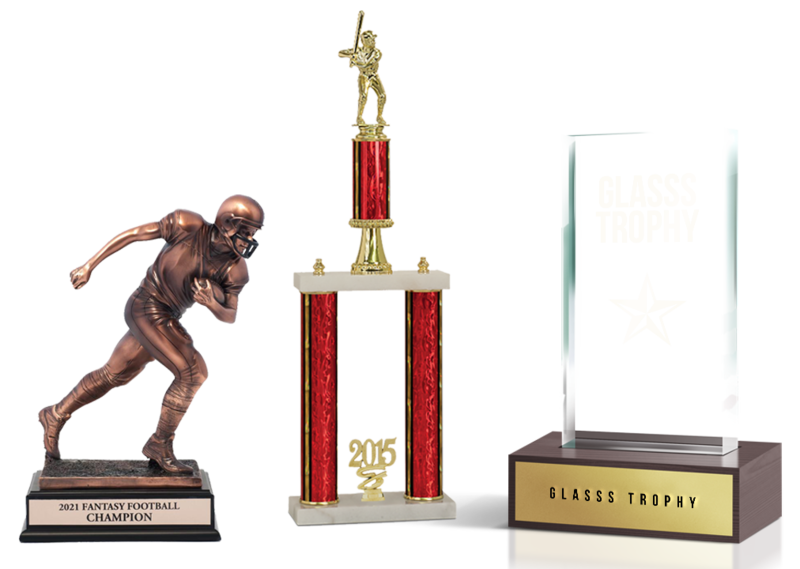 With hundreds of trophy designs in stock, we offer a variety of trophies to meet any specific occasion. For all of your trophy needs, consult with our courteous staff at your neighborhood Trophy & Sign Center today. 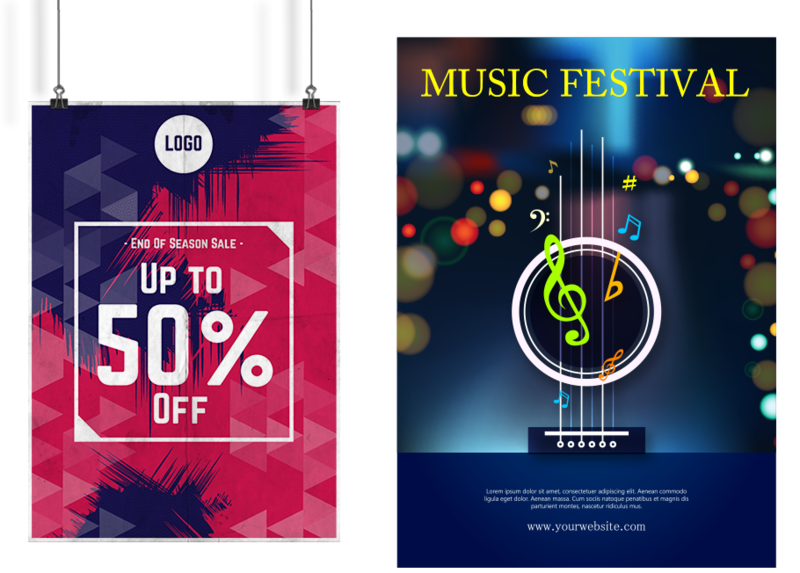 replace your full-color banners in just minutes. Flag down customers with our premium polyester knit flags. You don't need the wind for these flags to stay open, so your message will never be missed! We offer a variety of different materials for all your poster needs. From polystrene, foam, acrylic, and corrugated, we can make just about any design come to life. Personalize unique gifts for friends, family and loved ones with a custom engraving that will last a lifetime. Add names, monograms, important dates or special messages to be professionally engraved on hundreds of beautiful gifts ideal for any occasion. 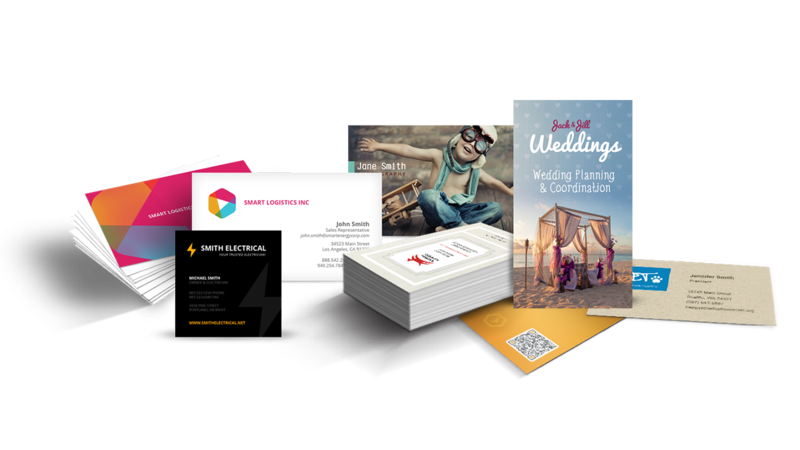 Our goal is to provide quality on-trend custom printed promotional products at the very best prices to help you achieve success whatever your budget or ideas. 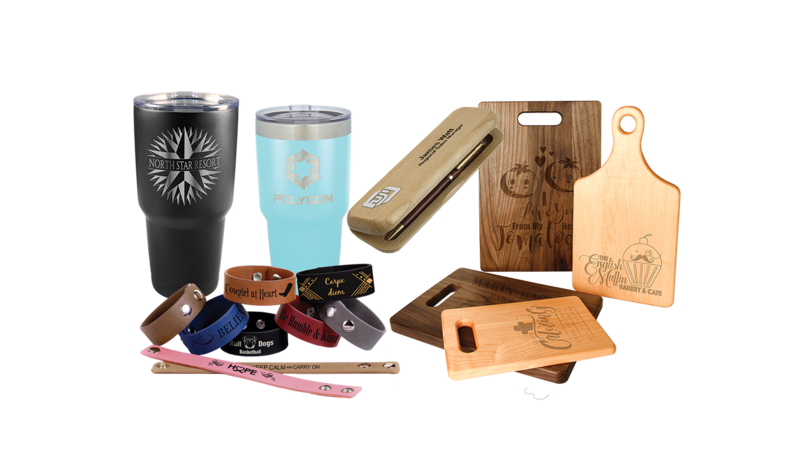 You'll find exciting promotional products to remind recipients of your brand, programs, services, appreciation, and more, no matter what the event! Create high-impact displays with banners available in large and table top sizes. Easy to install, so you can set up or replace your full-color banners in just minutes.